You know that voice in your head that tells you you’re too fat, too skinny, or just not good enough? You’re not the only one with this voice. Many women deal with this negativity coming from inside themselves. It’s called the inner critic. And its job is to keep you safe. Playing it safe often holds us back from expressing our true selves. It also keeps us from making big changes or progress in our lives. So whenever we’re about to take a risk, or do something outside our comfort zones, the inner critic will start to shoot off its mouth in hopes of instilling self doubt, or fear. The inner critic likes to creep up at unexpected moments — like right before you post a selfie with your new, cute haircut. Just as you’re about to hit send, your inner critic will start chiming in on how weird you look. And that the haircut isn’t cute at all. This may cause you to hesitate, and decide not share your new look with your friends. Your inner critic wants you to stay the same. So if you’re in a relationship that you’ve outgrown, it will say all it can to keep you there. You’ll hear it telling you that you’ll never get into another relationship and that you’ll be alone for the rest of your life because nobody wants to be with you. The inner critic can be really, really mean. But you don’t have to live under its wrath. By engaging in a few simple practices you can calm your inner critic so it stops ruling your life. 1. Meditate. At first, meditation may exasperate your inner critic. As you sit and try to focus on your breath, the voice in your head may go wild. You may hear things like “What are you doing? You’re wasting your time! Stop with this nonsense!” But once you stay with it (the meditation), eventually the inner critic calms down. As the breath becomes more of your main focus, you will hear your inner critic less. 2. Move. 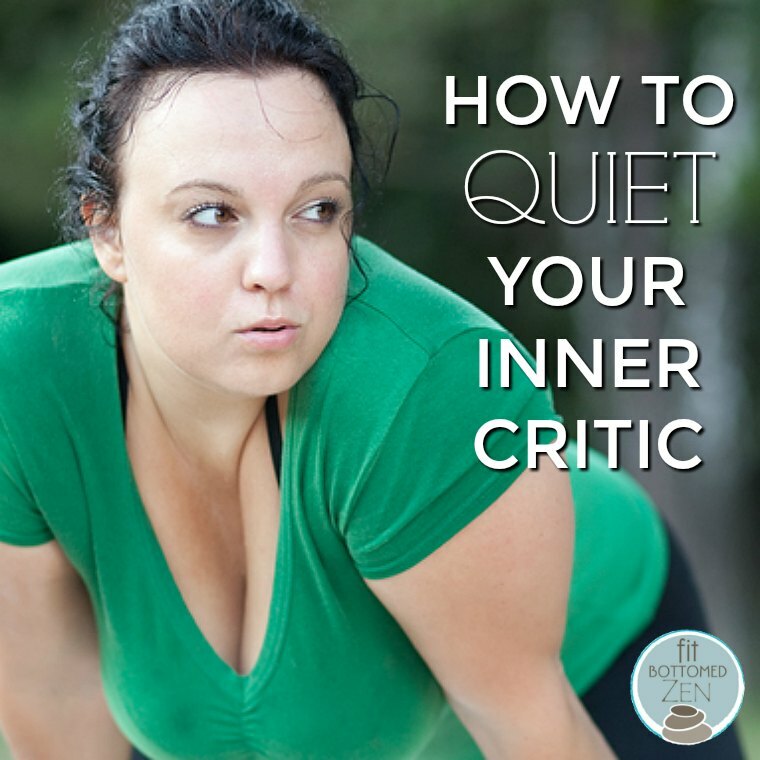 Moving your body will also quiet your inner critic. Whether you choose a high-impact activity like running or go with something softer like yoga, by putting the energy into your body, your attention will follow. And once you stop paying attention to the inner critic, it loses its power. 3. Use a mantra or affirmations. Sometimes, we may need to talk back to our inner critics. If it’s telling you that your new haircut is ugly, simply retort “My hair is awesome!” You can say it a few times to let it sink in deeper. You can also create little mantras for yourself to recite regularly just to keep your inner critic at bay. If it’s constantly saying you’re fat, then say phrases such as “I am grateful for my healthy body and all it does for me every day.” These affirmations not only quiet the inner critic, they serve as reminders of who is really in charge. Ah, the inner critic – it’s a daily struggle! Thank you for sharing these tips. I love using affirmations, I also put a dab of Bergamot essential oil on my wrists and inhale before I say my affirmations. Bergamot is “the oil of self-acceptance,” and I find that diffusing it or putting it on my wrists really helps to manage any negativity toward myself.